Wych Bearings aims to provide you with the best products, service and experience in the bearings and power transmission market. Our wealth of experience enables us to give you first class service and unrivalled product availability from all the world’s major manufacturers. With nearly twenty thousand items available to buy online, with thousands more available through our sales office, we're confident we can supply the right product delivered at the right time every time. Metric Bearings – Deep Groove Ball Bearings, Cylindrical Roller Bearings, Spherical Roller Bearings, Self Aligning Bearings and Needle Roller Bearings from leading brands including SKF, FAG, INA, RHP, NSK, NACHI and more. Imperial Bearings - Wide range of imperial bearings to buy online. 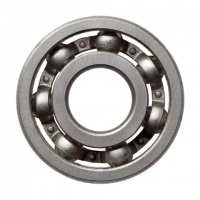 We also specialise in sourcing obsolete and hard to find bearings for restoration or repair projects. Tapered Roller Bearings - Metric and Imperial. Wheel bearings, Transmission and Gearbox applications. Huge range to buy online, many more sizes available by contacting our sales office. Leading brands including Timken, Koyo, NTN and more. Bike Bearings - Dedicated section for mountain bike and race bike bearings, both metric and imperial, including thin section bearings in stainless steel, ceramic hybrid and Enduro Max bearings. Housed Bearings - Pillow block, flange bearings and take-up units for both metric and imperial shaft sizes. Leading brands including RHP, LDK, SKF INA and more. Rod End Bearings - Metric and Imperial rod end and spherical bearings from SKF, NMB, Fluro, FK Rod Ends, LDK, IKO and more. Full range to suit motorsport applications. Roller Chain - British and American standard, Stainless Steel, Attachment Chain and Extended Pitch chain. Leading brands including Renold, Rexnord, Regina, Sedis, TD Cross, Challenge, Iwis, Tyco, Link Belt, A&S and Diamond. Sprockets - Simplex, Duplex and Triplex, in taper lock and pilot bore, platewheels and double simplex sprockets. Drive Belts - Full range of industrial drive belts including top quality Dunlop V and Wedge belts, timing belts, HTD belts and more. Adhesives - Full range of Loctite instant adhesives, bearing fit, retaining compound, sealants and thread locking products. Lubricants - Leading brands including SKF, Castrol, Shell, BP, Mobile, WD40, Kluber, Tigris, Ambersil, Fuchs, Rocol, Morris, Molycote, PML and Total. Accessories - Full range of associated products including Rod End Bearing lock nuts, Taper Lock Bushes, Bearing Adaptor Sleeves, Oil Seals - metric and imperial, and Bearing Maintenance Tools for fitting, removing and heating.